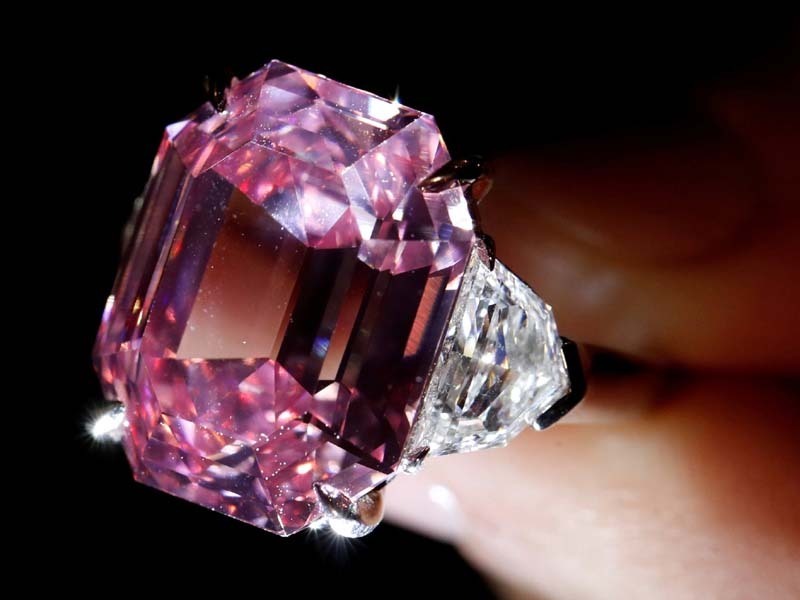 A rare pink diamond has fetched 50.3m Swiss francs ($50m; £38.5m) at auction, a record price per carat. 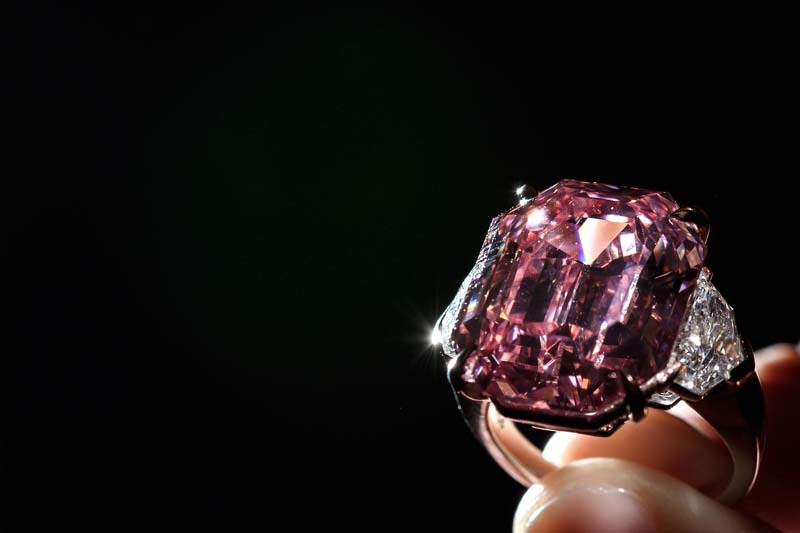 Pink Legacy, weighing in at just under 19 carats, was bought by US brand Harry Winston at auction in Geneva. The price of around $2.6m per carat marked a world record for a pink diamond, according to the Europe head of auction house Christie's. It had been valued at between $30-$50m before sale, and was bought after only five minutes of bidding. The diamond's new owners have rechristened it the Winston Pink Legacy. Once owned by the Oppenheimer family, who formerly ran the De Beers mining company, the diamond was referred to as "one of the world's greatest diamonds" by Christie's international head of jewellery, Rahul Kadakia. "You may see this colour in a pink diamond of less than one carat," Mr Kadakia said. 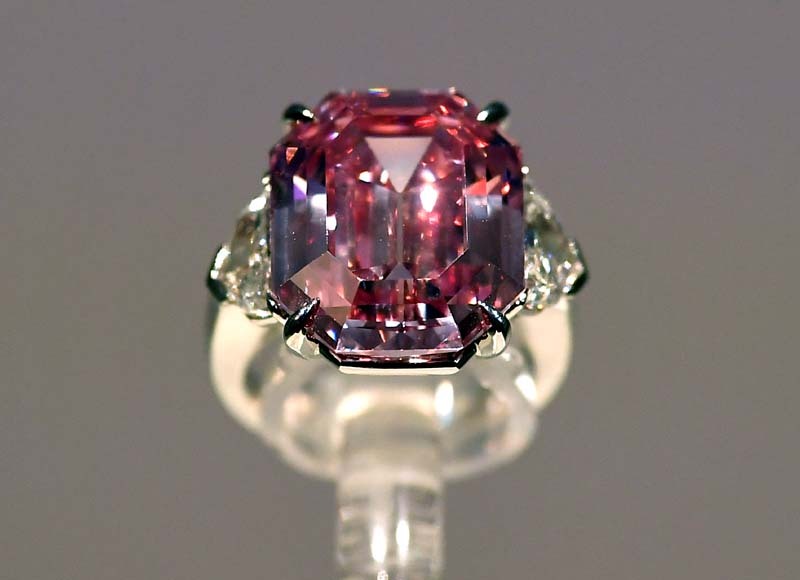 "But this is almost 19 carats and it's as pink as can be. It's unbelievable." Finding a fancy vivid pink diamond larger than 10 carats is virtually unheard of, the auction house said. The auction price of the Pink Legacy diamond, sold at Christie's annual Magnificent Jewels auction, beat the previous record price-per-carat. 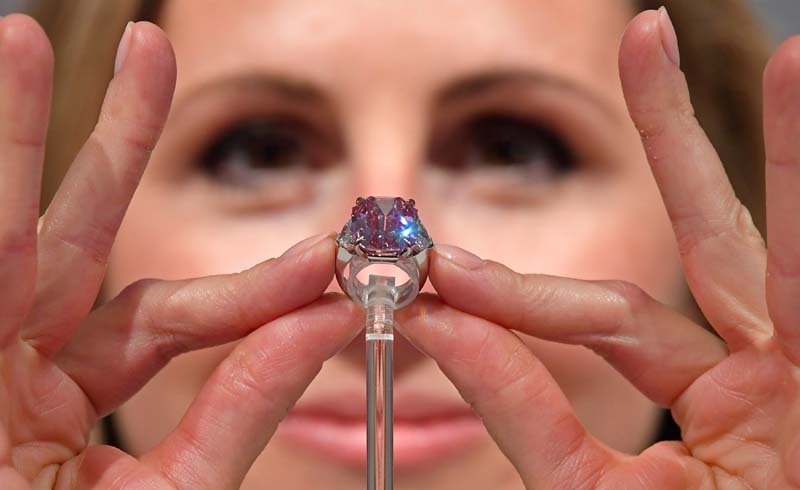 The Pink Legacy diamond sold for 50.3m Swiss francs ($50m), a world record price per carat.